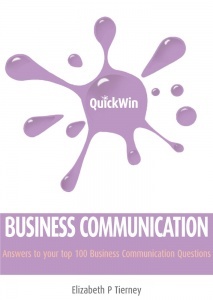 QUICK WIN BUSINESS COMMUNICATION is written for business people who recognise how vital effective communication is to their own success and to the success of their organisations. While you are reading through the answers to your questions, other business people may be discussing missions, goals, losses, profits, overheads, policies, budgets, loans, promotions, strategic plans, product development, training, hiring, technology, downsizing, take¬overs, global competitiveness, office parties, desk arrangements, coffee breaks, or office supplies. Imagine the implications if you can’t understand what is being discussed online, in webinars, boardrooms, offices, or at lunch. Imagine the implications if your colleagues don’t understand your views or are unable to articulate their own. Whether you are ordering paper for the copier or making long-range hiring plans, if communication fails, the outcome is confusion. Therefore, let’s examine ways of ensuring a happier outcome. Achieving Business Communication Excellence considers your ongoing development as an effective communicator. 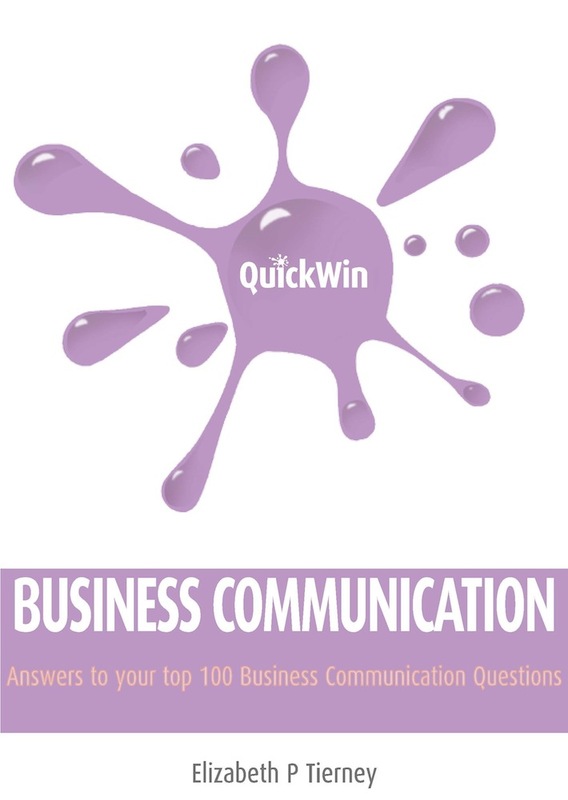 QUICK WIN BUSINESS COMMUNICATION is designed so that you can dip in and out seeking answers to your top business communication questions as they arise. Answers to your queries can be located not only from the contents list but also by using the subject grid at the start of the book and by following the thread of cross-references provided at the end of each Q&A.